Deanna graduated from Wenatchee High School in1957 and Wenatchee Valley College in 1959. She was a home maker, seamstress and avid collector of all things “roosters”. 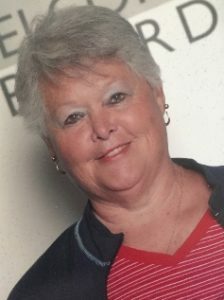 Dee, as she was known by her many friends, enjoyed her weekly exercise and social time with friends at the Northshore YMCA. She also loved spending time at her summer house in Chelan, where she could often be found socializing with her many neighbors. Above all, Dee loved her family, especially her children and grandchildren. Deanna was preceded in death by her husband, Leonard B. Jagla Jr., her daughter, Kimberly (Jagla) Baughman; brother, Jack Tibbles; parents Emma (Jenner) Tibbles and Dale Tibbles. Deanna is survived by her son, Ted Jagla (Melanie); daughter, Karla Jagla-Reitz Tim); and grandchildren, Wyatt Baker Jagla, Dylan Baker Jagla, Colby Reitz, and Caleb Reitz. My condolences to the family. Dee was so loved by so many people! She was always offering help or friendship for anyone who needed it. She was a loving cousin and a beautiful friend to me. You will surely be missed. Love and hugs dear friend…..
My heartfelt sympathies to all her family. Dee had a great spirit, wise, warm and loving. I cherish my memories of her and will miss her. Love you Dee.